Audi A8 Boot Space, Size, Seats | What Car? 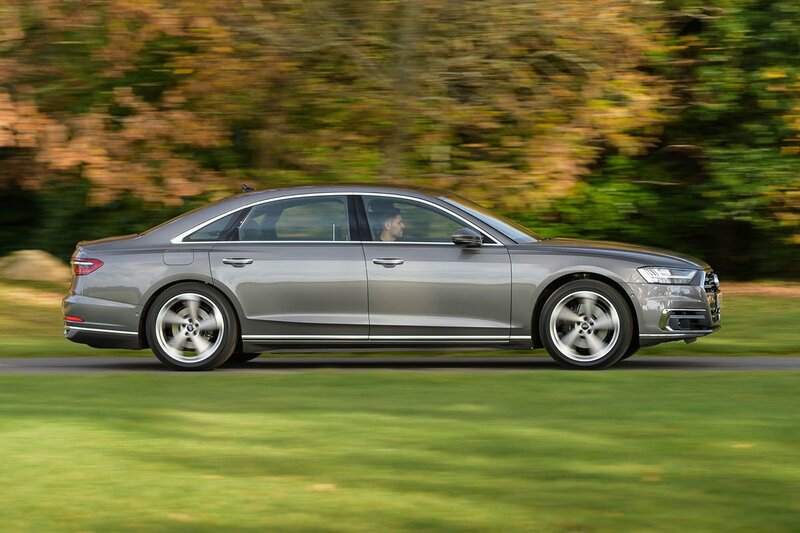 We doubt anyone will run out of space up front in the A8, such is the generous amount of head and leg room and the width available to spread yourself out sideways. 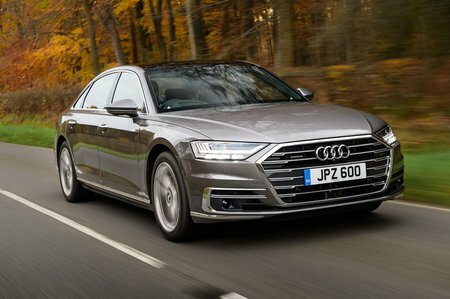 Passengers in the rear are treated to first-class levels of comfort, too, especially in the long-wheelbase version, which of course provides even more leg room for anyone being chauffeured. As with its rivals, all sorts of luxuries are available to help rear passengers relax. In long-wheelbase models, as well as the remote control with a 5.7in screen discussed in the previous section, you also get electric rear sunblinds, individual climate controls and heated rear seats. Electrically adjustable rear seats, seat ventilation and massaging functions are some of the options available. All A8s offer decent interior storage. There are two cupholders up front and two in the back, plus a rear central armrest and deep door pockets. For those who love a stat, the boot's capacity is 505 litres. But that’s just a number, so what does it mean in practice? Well, a compartment large enough to fit eight carry-on suitcases is pretty handy. It also means there’s room enough for a couple of sets of golf clubs, should you and a chum fancy a quick round. You can fold the rear-seat backrest if you need more luggage space, but its single-piece nature means your passengers will have to stay behind. However, should it be a long, thin load you need to accommodate, a ski hatch allows it to poke through from the boot and nestle between rear seat occupants.